Lagonda, the luxury arm of Aston Martin, has unveiled a luxurious new concept car at the Geneva Motor Show. Pulling no punches, the car is named the All-Terrain concept, leaving no room for interpretation – this is where Lagonda thinks luxury SUVs are headed in the future. 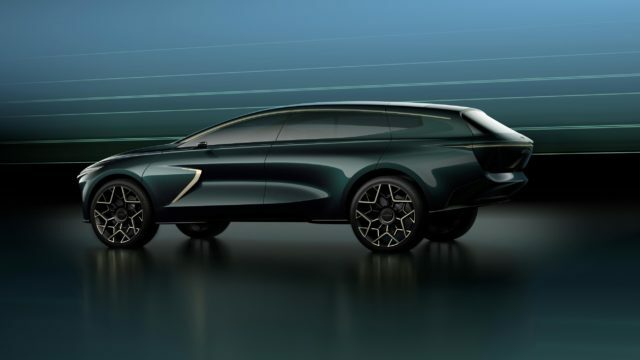 The all-electric SUV – as Lagonda has committed to being an all-electric brand – builds on the design of the Lagonda Vision concept first seen at last year’s Geneva show. However, while that car was a low-slung saloon, the All-Terrain is a high-riding SUV. Aston Martin also says it’s taken design cues from superyachts – best seen in the car’s bulbous rear, which hangs considerably over the car’s wheelbase with a strong beltline running around the middle of the panel. 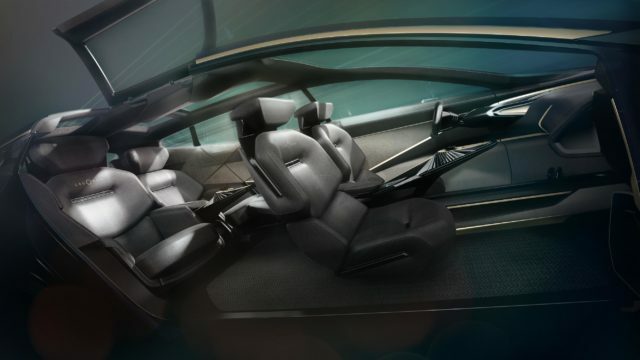 Full autonomy is expected, so the Lagonda All-Terrain features a similar four-seat layout to the Vision concept – where the driver and passenger seats can turn around to form a luxurious, four-seater lounge when the vehicle is driving itself. Rear-hinged coach doors and opening roof panels to aid access are further nods to the Vision concept, and Aston Martin’s been able to fit them thanks to the inherent stiffness of the car’s electric chassis. Other interesting features include the rear lights, which are virtually invisible when not lit. Instead of showing the LEDs directly, they’re hidden up in the bodywork, and shine downwards and reflect out. There’s also a floating key – no, really. Electromagnets in the centre console take hold of the key and leave it levitating in place between the front seats. The rear of the car also features a retractable shelf, which slides out to offer occupants somewhere to sit when the car is parked. Think of it like the lower tailgate of a Range Rover, and you won’t be far wrong. The Lagonda All-Terrain concept is expected to preview a production model that will arrive in 2022, but it’s reasonable to assume some of its crazier excesses will be toned down before launch.